Uzbekistani superstar and 2016 Olympic Silver Medalist, Shakhram Giyasov, has landed in the United States, and will settle in Las Vegas, NV, to start his pro career. As a professional, Giyasov will campaign in the welterweight division, where he was a sensational amateur standout. At age 24, Giyasov who stands at 5’9″, is one of the most talented boxers to enter the professional ranks in the last decade. This past summer in Hamburg, Germany, the right handed Giyasov captured Gold (Welterweight) at the 2017 International Boxing Association (AIBA) World Championships. Giyasov’s victory in the finals against Cuba’s Roniel Iglesias, the 2012 Olympic Gold medalist, came to no one’s surprise, as the Uzbekistan was the #1 seed entering the tournament. 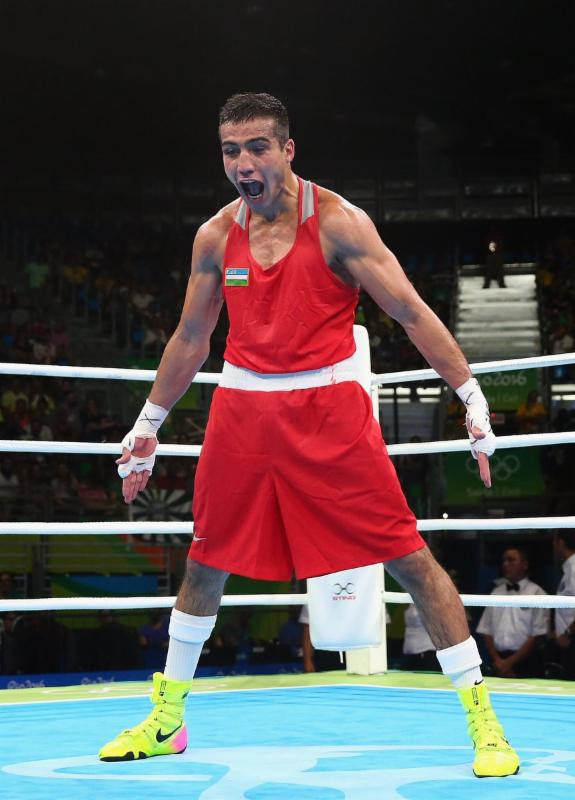 Shakhram was voted best boxer of the tournament by his peers, winning 56% of the AIBA online poll. Giyasov, who is a mega-star in his native land of Uzbekistan, is managed by Ruslan Khusinov, an international sports agent with ties to some of the best amateur boxers in the world. His reasoning for bringing Giyasov to the bright lights of Las Vegas was easy, to establish his brand in the mecca of professional boxing. Training Giyasov, will be Justin Gamber, who guides the corner of undefeated world ranked contender, Caleb “Sweet Hands” Plant (16-0, 10 KOs). Gamber believes Giyasov can jump on the fast track to a world title.